The surf spirit is all around us: On every beach, lake shore, and river meander, the new heroes of stand-up paddle are walking on water! With Paddle, Julbo has come up with the perfect mix of technical excellence and beach style. The innovative frame construction contains thousands of air bubbles for genuine floatability. 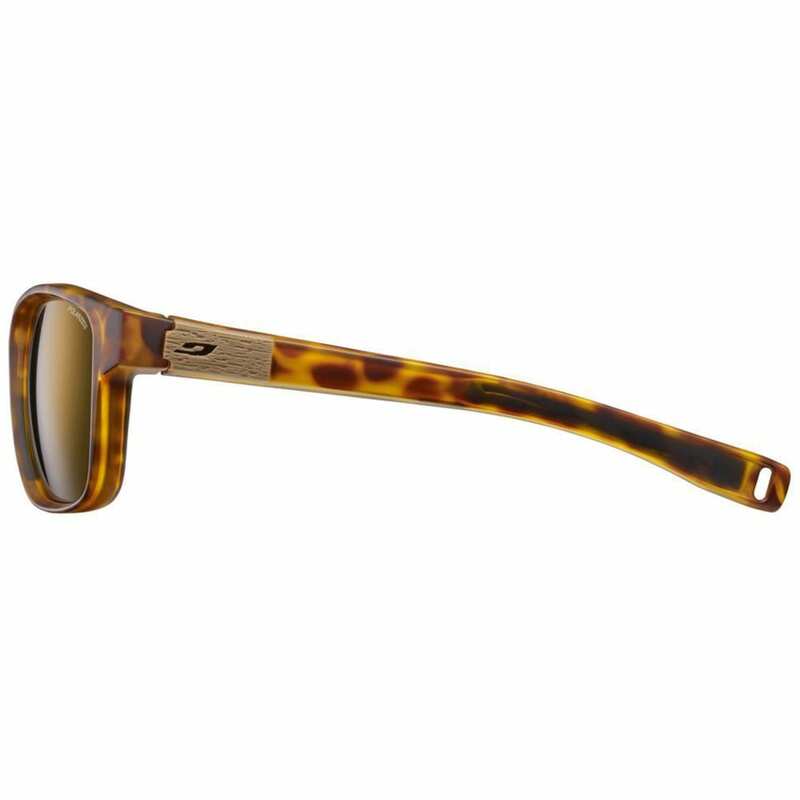 With Grip Tech temples and a Grip Nose, these sunglasses stay in place and defy wind, waves, and choppy seas with no fear of falling. 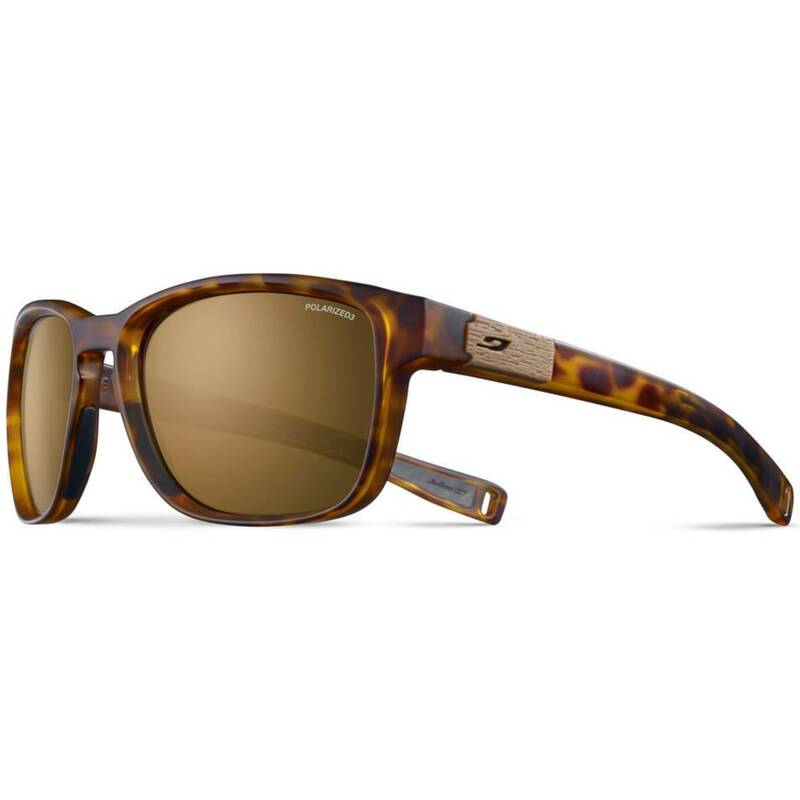 Thanks to their rectangular design and Californian feel, they're sure to go everywhere: on the water, to the beach…and way beyond. Bubble frame – floating: Innovative frame construction: thousands of tiny bubbles are built into the frame, so the glasses float. Curved temples: Ergonomic profile for a good grip on the face and head. Polarized 3: Cat. 3 polarized polycarbonate lens. Suitable for all types of sea or mountain sports, eliminating glare on all surfaces. Smoked or brown tint. Polarized 3CF: Cat. 3 polarized polycarbonate lens with colored mirror coating. 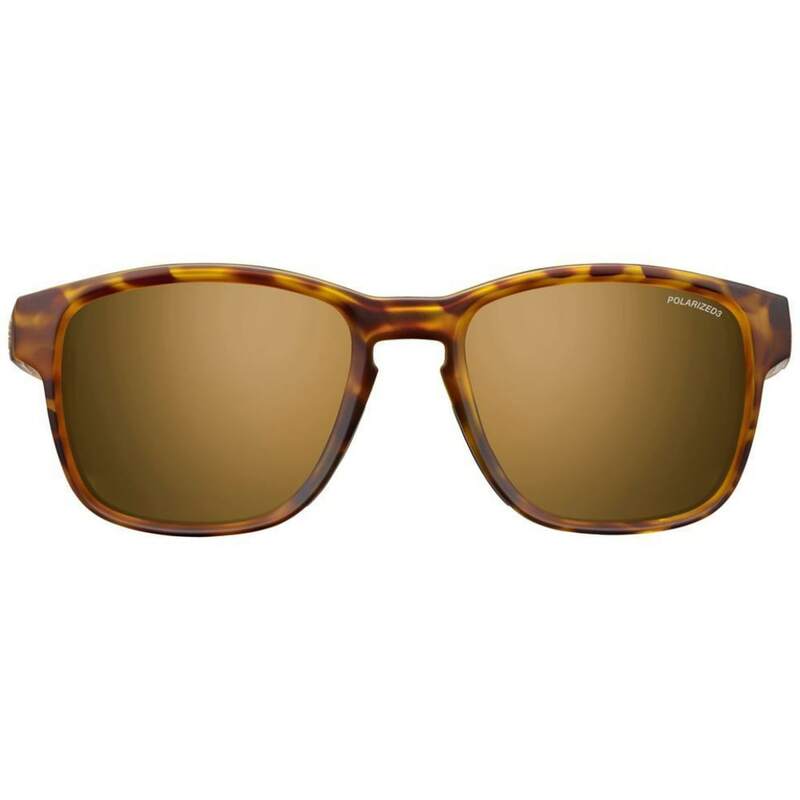 Suitable for all types of sea or mountain sports, eliminating glare on water and snow in particular. ColorFlash Orange: coating to improve light filtration, giving the lens an orange mirror finish.